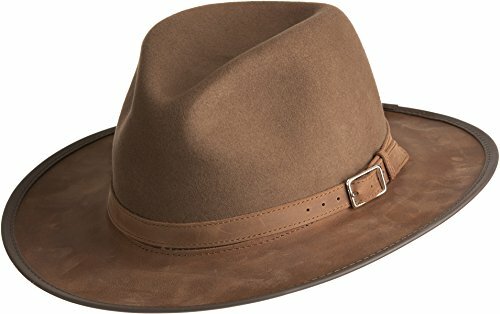 The Summit Hat captures the great outdoors in the outback style re-imagined as a bold two-tone design. Styled for comfort and the active life, our striking handmade hat shades you with a wide 3" leather brim and a standard wool felt crown that's finished with a leather band and buckle. And on the inside, a cozy sweatband keeps you comfy while a Velcro sizing system gives you the perfect fit. 100% Wool. Crown: 3.75". Brim: 3". Made in the USA.